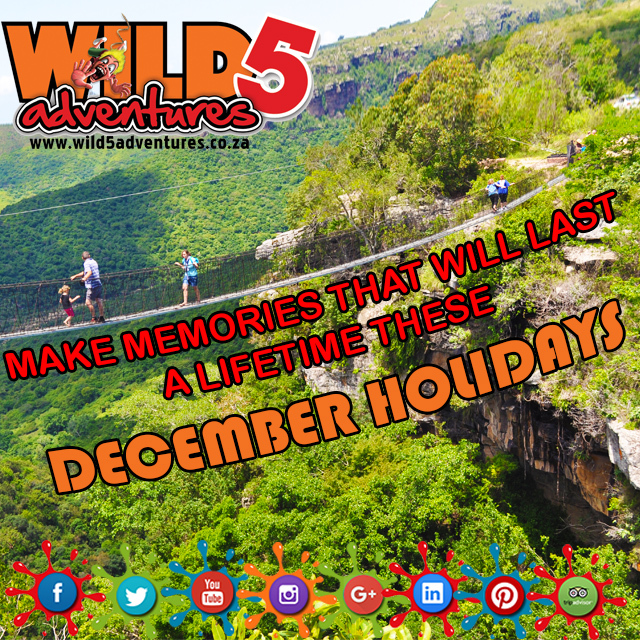 Make memories that will last a lifetime these December holidays at Wild 5 Adventures! 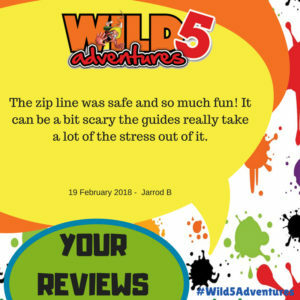 Take your holiday experience to the next level and plan a trip to Wild 5 Adventures while holidaying on the KZN, South Coast. Whether you are looking for the WILD or MILD, we have it all. 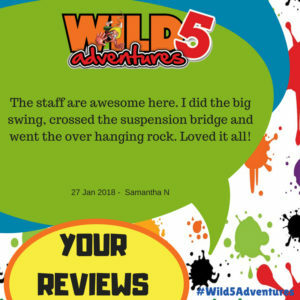 Why not start your day off by enjoying our world-renowned Wild Suspension Bridge! 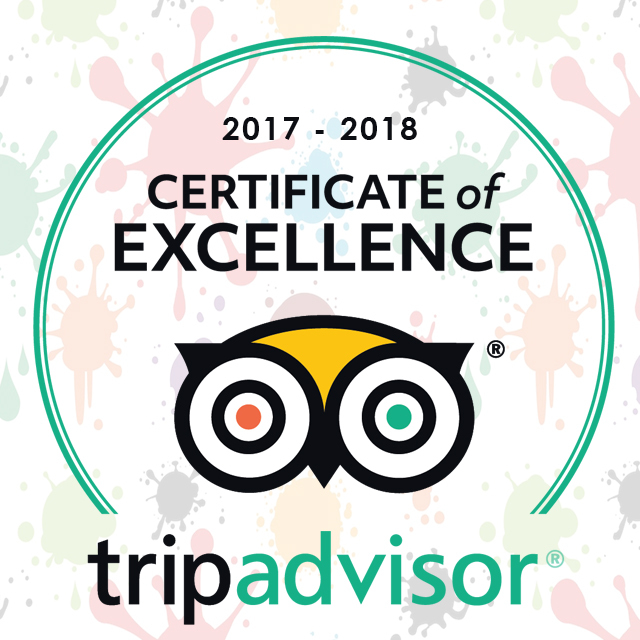 Take advantage of this spectacular opportunity to be suspended between heaven and terra firma, as you hover 100m above the Gorge floor enjoying views never before seen of Lehr’s Waterfall, Baboon’s Castle and the World’s Highest Gorge Swing. 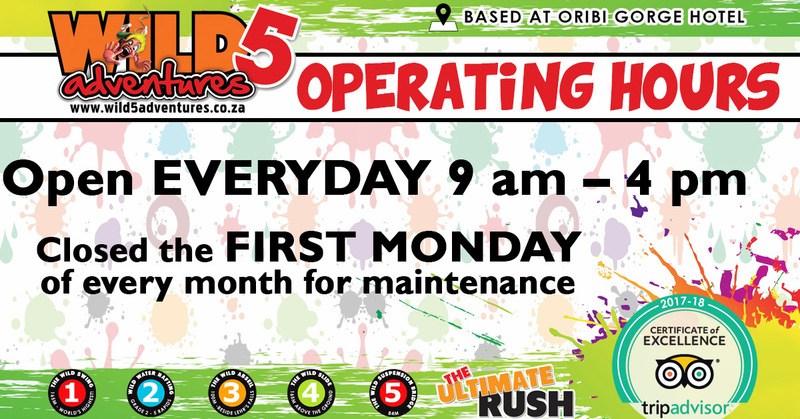 This entry was posted in Announcements and tagged adventure, christmas, december, durban, gorge, heights, holiday, kzn, lifetime, memories, mild, next level, oribi gorge, outdoor activities, plan, renowned, south coast, south coast tourism, suspension bridge, trip, view sites, we have it all, wild, wild 5, wild 5 adventures on October 9, 2018 by Wild 5 Adventures.